Beston biochar production equipment for sale refers to carbonizing biomass materials into charcoal through a series of reactions. So the machine can be also called charcoal making machine, biomass carbonization plant, biochar pyrolysis machine, etc. The raw materials suitable for the equipment are mainly biomass materials, including wood chips, palm shell, rice husk, coconut shell, straw, sawdust, sugarcane bagasse, etc. The final product, bio-char, is a kind of green energy. With the features of higher caloric value, long burning time, no smoke emission, it can be widely applied in industrial smelting, agricultural fertilizer, daily warming and cooking, etc. The biochar making machine can not only deal with waste materials, but also create great profits for the customers, which is an ideal environmental project worthy of investing. 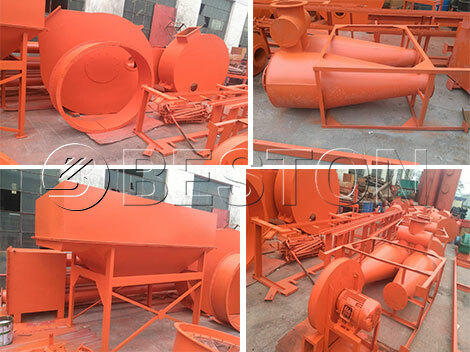 The biochar equipment for sale designed by Beston Group adopts the advanced carbonization and pyrolysis technology, which can convert various biomass materials to charcoal through the process of drying, crushing, feeding, carbonization, cooling, discharging, etc. Watch Beston charcoal making machine on working video here. The resulting biomass charcoal has become a hot product in the market of domestic and overseas, which has greatly driven the development of biochar making machine. 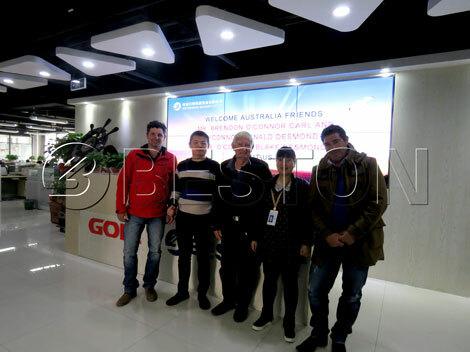 At present, our charcoal machines have been exported to many countries, such as Australia, Uzbekistan, Ukraine, Indonesian, South Africa, etc., and have received wide praise from our customers. 1. 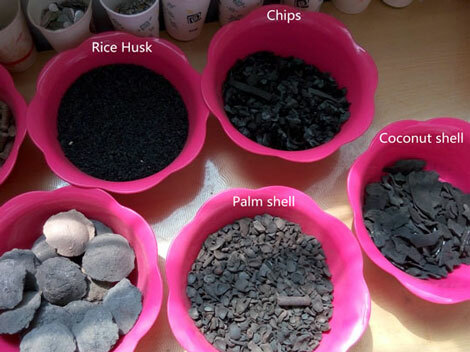 The biomass charcoal produced by Beston biochar production technology has high caloric value, so it can be used as fuel in industrial melting, which can save much non-renewable energy to realize sustainable development; in addition, with little pollution, the charcoal is a new-type heating source and can be also used in our living life for cooking, warming, etc. 2. Charcoal contains rich micro-element, such as nitrogen, phosphorus, calcium, zinc, and manganese, so it is always used as fertilizer to improve the quality of soil and increase the yield of crops. Besides, it is also a better additive to produce activated carbon. 1. 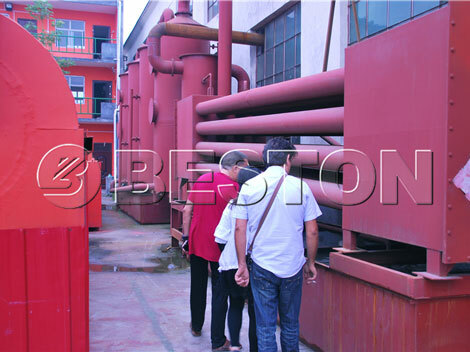 Beston biochar making machine mainly utilizes the higher temperature pyrolysis process for heating the raw materials. In addition, the carbonizing equipment uses hot air as hot source, which connects with the continuous biochar furnace to make the machine run in high speed and largely increase pyrolysis efficiency. 3. In general, high efficiency has a closer relationship with advanced technology. 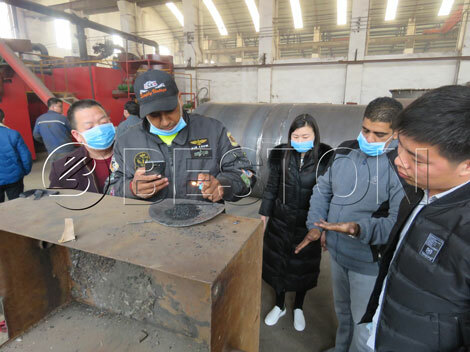 Beston biochar making machine has introduced the advanced biochar production technology of one fire with two steps, which is the domestic initial. Now I will give a brief description of this technology: during the charcoal carbonization process, the raw materials will generate charcoal and combustible gas in the biochar furnace under the high temperature heating; then, with the increasing of volume, the combustible gas will raise and enter the spay dedusting system to remove the sulfur components; after that, the combustible will be further processed by condenser system to extract tar and wood vinegar; finally, due to the higher caloric value, the combustible gas will be recycled to heat the carbonization furnace and dryer device by the draft fan. In this way, the whole carbonizing procedure just consumes a little traditional fuel, which can not only save energy, but also can reduce pollution. Cost is the most important factor to be considered for all businessmen. Beston can promise our clients that we will use the lower investment to create greater achievement than anyone. Firstly, as for the raw materials, our biochar equipment for sale mainly uses biomass wastes as raw materials which are quite common and cheaper in our surrounding. 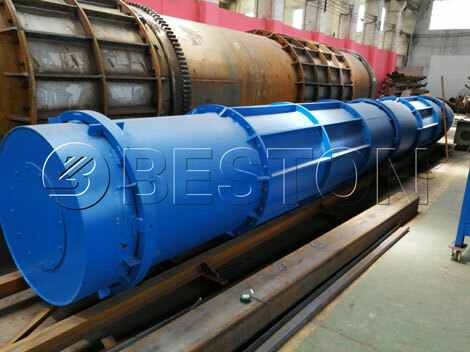 Secondly, the machine has adopted the fully continuous working pattern, and each part has a perfect connection, so that it has largely reduced the error ration and saved carbonization time. In addition, this kind of pattern has also declined the manual strength and reduced the brokerage. Fifthly, as one of the best charcoal making machine manufacturers, Beston promises that we can provide perfect pre-sale service to help customers purchase the best machine as well as after-sale service to eliminate the troubles after buying. Finally, the charcoal making equipment has used the advanced technology to reduce the consumption of traditional fuel, which also has highly reduced cost. The biochar production equipment belongs to big project, so the security can’t be ignored. 6. The technicians will make a professional skill training in person, which can make sure that each worker has practised skill to protect themselves. 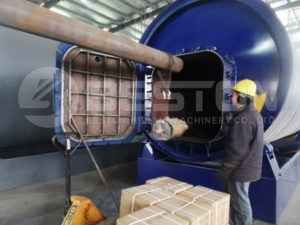 In order to respond the current strategy of sustainable development and environmental protection, Beston charcoal production machine has been installed the advanced spay dedusting system, which can remove sulfur components of combustible gas and reduce pollution; moreover, the fully sealed working condition also can make a great contribution to environmental protection. * The biochar carbonizing furnace is a major part of the charcoal machine, which has decided the service life of the whole machine. 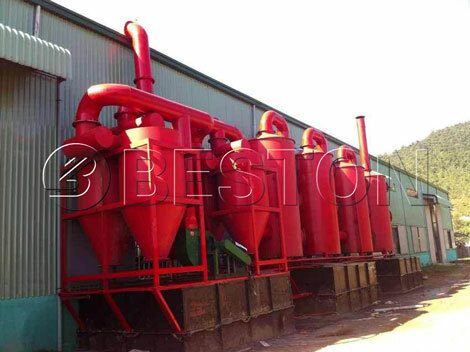 Beston biochar pyrolysis reactor is made of special materials, which has better wear resistance and corrosion resistance, so that it can extend the service life of the machine and can reduce the cost indirectly. * In addition, the charcoal making furnace has a horizontal type design, and the hot air will not contact with the bottom of furnace directly, so that it can reduce the damage of furnace. * Furthermore, apart from this feature, our charcoal furnace has been equipped with double layers, which can make sure the hot source heat raw materials for several times from beginning, and this characteristic has highly increased the working efficiency and production yield of the machine. 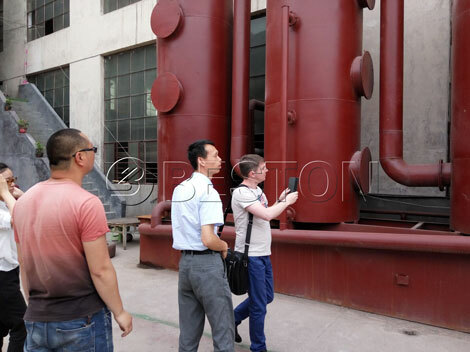 Beston Machinery has been engaged in developing biochar production equipment for many years, so our team has possessed the professional production technology and skill. Beston Group has become a famous brand in the international market. We have always tried our best to provide our customers with mature technology, high-quality products and top-class service. We are looking forward to cooperating with more friends and opening wider market!